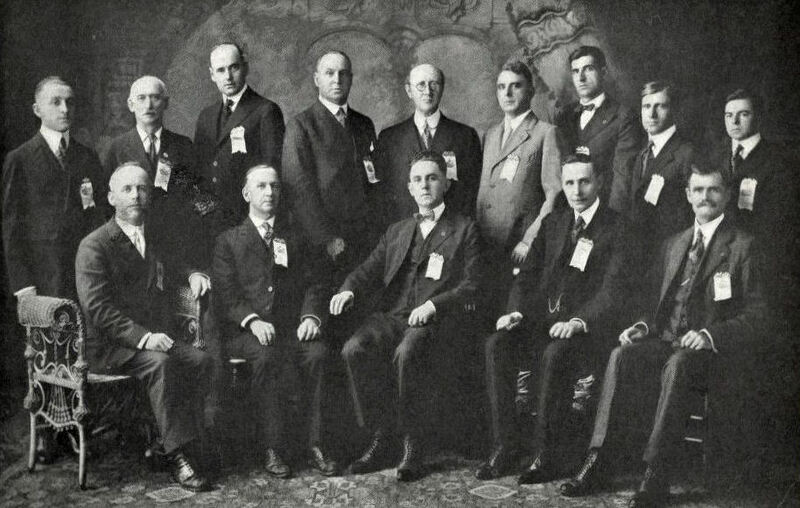 Comments: P. Dagenais (Nee: ) | Southbridge MA United States | 1901-1920 | Comments: Officers of the Cercle Canadien (French Canadian) club of Southbridge Massachusetts. Photo taken in 1919. Standing, from left: L. Martel, A. Robillard, J.A. Martin, P. Dagenais, Felix Gatineau, J.B. Demers, L. Girard, H. Tetreault, A. Guilmette. Seated, from left: Philip Casavant, J. Coderre, V. Tetreault, H. Bastien, E. Ouellette.